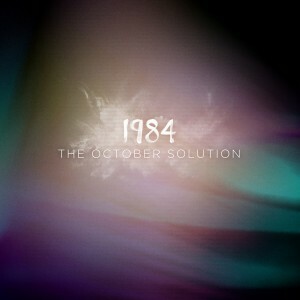 The October Solution '1984' - First Single from "Axis Swim Scar"
Hidden Shoal is excited to announce the release of ‘1984’, the first cut from Axis Swim Scar, the debut album by dream-pop architects The October Solution (Drew Sullivan of Slow Dancing Society and City of Satellites, and Jarrod Manuel of City of Satellites). While steeped in ’80s nostalgia, their music moves beyond familiar tropes to stand as defiantly futuristic and progressive, no better exemplified than on single ‘1984’, which draws upon the sweeping grandeur of Disintegration-era Cure. Axis Swim Scar resonates with soaring guitars, ethereal vocals, and deftly woven pop melodies, melding the incandescent ambient sounds of Slow Dancing Society within the propulsive songcraft of City of Satellites. The October Solution originally formed as EO in 2011, releasing two EPs, Breathe Your Air and Somewhere Human, before changing their name to The October Solution in 2013. While the duo operate at opposite ends of the globe – with Jarrod Manuel based in Adelaide, Australia and Drew Sullivan based in Spokane, USA – this independent collaboration was born at a City of Satellites production meet-up in the US, where the pair bonded over their shared love of ’80s and ’90s pop music and shoegaze. ‘1984’ is available now as a free download and stream. Axis Swim Scar will see official release on the 14th of April.